What Makes a Wood Framed Commercial Structure More Cost Effective? You can afford a wood framed commercial structure. Wood in its natural form is an excellent building material. The only modification required is cutting the timber to uniform sizes. Most of today’s timber for wood framed construction is obtained from actively managed timber, where trees are replanted regularly. This process of replanting timber is not nearly as complicated as repurposing an open pit iron ore mine. This results in a renewable building material that is relatively low cost to produce. Iron ore deposits take centuries to form, and many of the high-quality deposits have been depleted. This results in needing to dig deeper, travel farther, etc. to access new deposits that may not be as high quality. The iron ore then needs to go through a complicated process to eventually become steel columns and beams. This results in a building material that is relatively expensive. Steel structures typically require large foundations including concrete piers and steel reinforcement. Most wood framed structures utilize smaller foundations with minimal steel reinforcing. This difference in foundations can provide a significant cost savings. Wood, unlike steel, is a natural insulator. As a result, wooden structures are easier to insulate. Most pre-engineered metal buildings utilize blanket insulation. However, when the exterior panels are fastened to the framing members, the insulation is flattened, making it easier for heat to escape. There are methods of elevating this and similar problems, but it is easier to achieve significant R values with wooden framing. Wood is more easily modified than steel, which makes the process of future modifications to the structure less intensive. Altering steel beams costs significantly more because of the extensive amount of time it takes to grind and weld and otherwise adjust pieces to accommodate your changing needs. 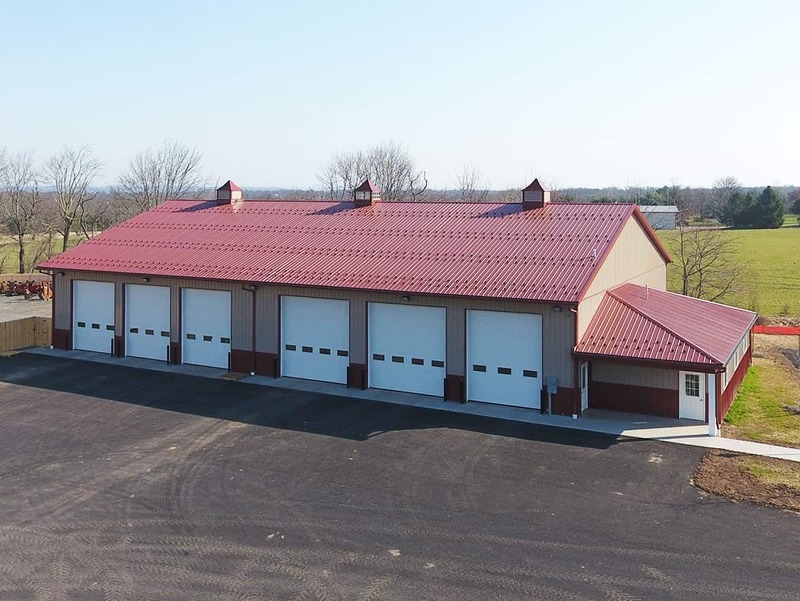 It’s much easier to add a large overhead door or move an interior column in a wood framed commercial structure, because it requires less tools (that can also more easily be transported to and from the jobsite) and less time to modify wooden posts and beams. This helps save in labor and material costs. If a portion of a steel frame is damaged by a disaster, such as a fire, repairing it can be a very technical, time consuming process. Even if the steel is not visibly damaged, the strength of the members may have been compromised. Due to the complications involved with modifying steel frames, it may be more efficient to simply replace more of the frame than was actually damaged. However, with wood frames, it is much easier to replace just the members that were damaged. The experts at Quarry View Construction are experienced in working with wood framed commercial structures and more. We can provide the insight you need when determining your structural frame of choice—because budget is just the beginning. Contact our team to connect with a project manager who has your business’s best interest at heart.